Like in the case of many of his contemporaries, the traumatic events of the 20th century left a strong mark on Ernest Berk’s artistic biography. Born in 1909, he made a name for himself as a dancer by the 1930’s. Aside from performing in various works by artists from the just-emerging German Ausdruckstanz scene, he also participated in political cabaret and played in sketches critiquing the rise of National Socialism. His daughter Esther Fairfax describes him as “very left wing with a strong political belief”. In 1933, he married the Jewish dancer Lotte Heymansohn and together they took over the dance school of a Jewish colleague in Cologne. In addition, he operated a second dance studio in his own home, where he housed Jewish musicians such as Gunther Freundlich, who was later murdered by the Nazis. He also moreover organized his own ballet company. In other words, Berk was doing well for himself. Reviews were positive in every respect, nothing seemed to stand in the way of a successful career as an artist. Until the Nazis came to power in Cologne. The NSDAP commissioned a revue for a visit by Hitler. Berk refused and thus attracted the attention of the NS-regime. They soon found out that his wife was Jewish and this resulted on October 28th, 1934 in a memorable scene, which changed Berk’s life for ever. He was supposed to perform the duet “Wege” together with his wife in the Great Hall of the Citizen’s Society in Cologne, yet the Nazis warned Lotte just hours beforehand that they would immediately be arrested, should they go on stage. So, Lotte stayed in the auditorium and Ernest Berk danced both parts, using gestures to explicitly indicate where his wife was standing. At the end of the show, the audience called: dance Lotte, dance Lotte, dance. But the upper tiers were full of Nazis – joining the dance would have meant instant arrest and so she stayed away from the stage. Nonetheless, the conductor called her up on stage after the piece to take her bows. Together, she and Ernest bowed to the audience and Lotte said to them: “Thank you for not being Nazis”. The curtain fell and the Nazis charged onto the stage. One day later, Lotte Berk’s passport and her money were confiscated. The couple was banned from performing. Soon afterwards, Berk was on the way home from the studio, when a friend warned him that the Gestapo was waiting for him. Berk turned around and went straight to the train station. As a British citizen, he was able to leave the country and later managed to arrange for his wife to join him. But the move to the UK also meant a fundamental disruption of his career. German Ausdruckstanz – aesthetically treading entirely new paths – simply didn’t exist in Great Britain. So although Berk was quickly able to resume work and innumerable critics responded favourably to his pieces, his life and working situation remained precarious. As he grew older, the working conditions in Great Britain grew increasingly difficult. The offer of a professorial position at the University of the Arts in Berlin granted him some reprieve. He performed with students in S-Bahn stations and staged performances at the “Wasserklops” fountain near Bahnhof Zoo. He became something of a father figure to some of his students. Yet the university’s internal restructuring brought an end to his employment and thus he died penniless on September 30th, 1993 in Berlin. 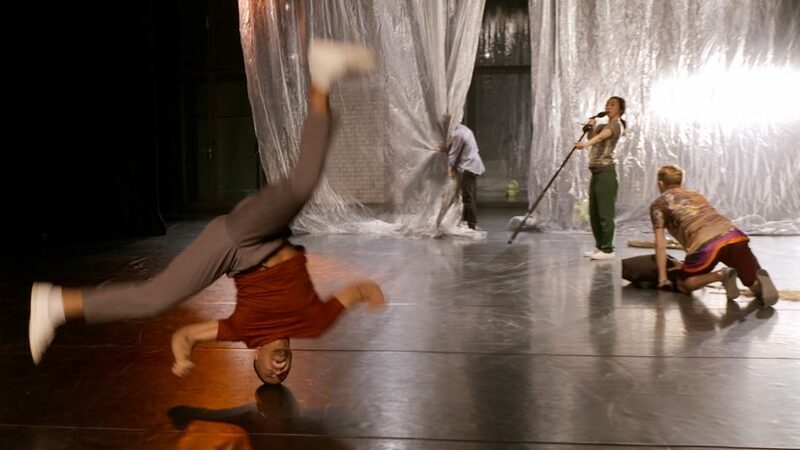 Christoph Winkler is a German choreographer whose minimalist, discursive and strictly composed dance dramas encompass a wide spectrum of styles and themes. After his early experiences in martial arts, breakdancing, ballet and underground techno clubs, he later went on to study choreography and began working as a freelance choreographer. Also a music devotee, Winkler founded the experimental music platform Klangkrieg Produktionen. 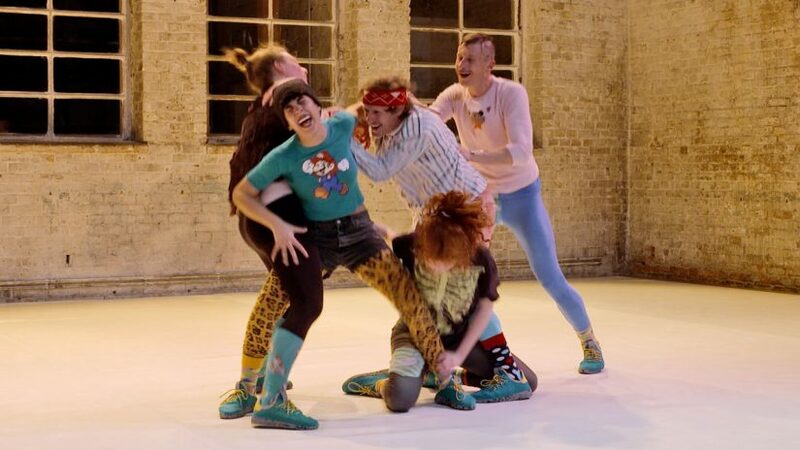 In 2007, together with ehrliche Arbeit – freelance office for culture, Winkler founded the agency BERLIN GOGOS to represent and support contemporary dancers. Winkler’s work focuses on current themes such as copyright law (“Dance! Copy! Right?”, 2012), radicalism (“Baader – A Choreography of Radicalisation”, 2012), women of the political right (“RechtsRadikal”, 2013), the staging and performance of protest (“Das Wahre Gesicht – Dance Is Not Enough”, 2013), and the subjectivity of memory (“Abendliche Tänze”, 2013). Lois Alexander was born in California and is of African American, Filipino and Chinese descent. As a child, she was involved in everything from gymnastics to jiu jitsu. At age 17, Alexander moved to New York and graduated from Juilliard with a Bachelor of Fine Arts in Dance in 2014. Since then, she has been living and working in Europe. 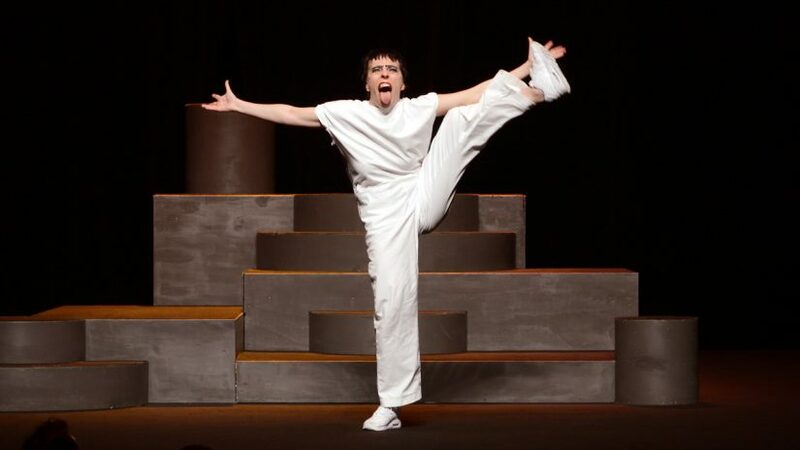 Alexander was a member of Staatstheater Saarbrücken under the direction of Stijn Celis from 2014-2016. In the 2017-2018 season, she joined Theater Trier as a guest under the direction of Susanne Linke. In the freelance scene, she has worked with Romeo Castellucci and Christoph Winkler. 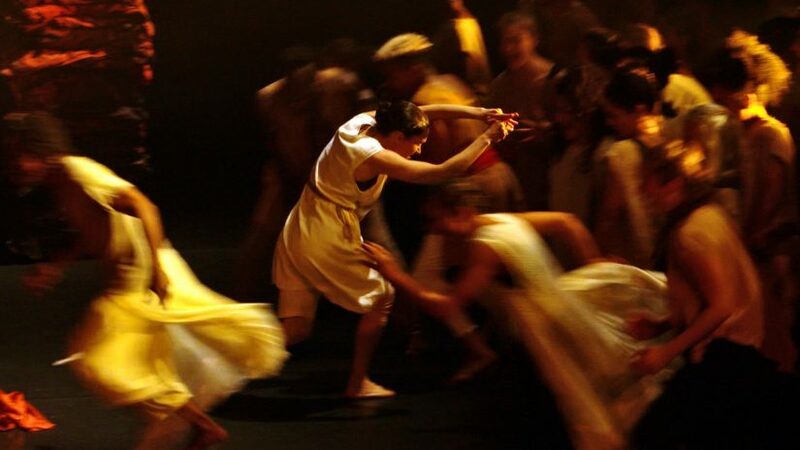 Currently based in Amsterdam, she is developing her own choreographic work and teaching. Emma Daniel was born in 1992 in France. She graduated as a contemporary dancer from the Conservatoire National Superieur de Musique et de Danse de Paris and studied choreography at SNDO (School for New Dance Development) in Amsterdam. In 2012 she collaborated and performed with Adriano Wilfert Jensen in “Spending Time With Dinosaurs” which has been rewarded by the Danish Arts Fondation in December 2015. Since a few years Daniel works and performs for Mårten Spångberg, Anne Imhof, Christoph Winkler, Ula Sickle & Daniela Bershan and Michele Rizzo. In collaboration with Linda Blomqvist and Adriano Wilfert Jensen she curated 4 editions of “Indigo Dance Festival” at Performing Arts Forum (PAF) in France, followed by the publication of “Indigo Dance Magazine issue 1 vol. 1. Luke Divall is a dancer and performer based in London, UK. He studied at the Central School of Ballet, gaining a First Class BA Hons degree in 2011. Since then he worked on a variety of performance and research projects with people and companies including Christoph Winkler, Theo Clinkard, Wee/Francesco Scavetta and Jo Fong. Alongside performance, Divall teaches dance in a wide variety of contexts to a range of people. Sarina Egan-Sitinjak was born and raised in Vancouver, Canada. She obtained her BFA in Contemporary Dance from SFU in Vancouver and upon graduation completed an apprenticeship under the direction of Amber Funk Barton. In addition to her contemporary training, Sarina has trained extensively in various urban dance styles with Vancouver-based hip-hop companies such as SOULdiers Dance Co. and Culturally Defined. Egan-Sitinjak’s training has led her to Cubadanza (Cuba), Ultima Vez (Belgium), P.A.R.T.S (Belgium), and she was the recipient of the BIDE scholarship from OpenFLR (Italy). She has worked with Carina Otte in Berlin and is currently a dancer for the Requiem for Aleppo project in the UK, under the direction of Jason Mabana. Martin Hansen is a choreographer and dancer working between Germany and Australia and touring internationally. Hansen researches economies of time in the theatre and the body and is invested in sculpting affect as a felt experience of being in the world. He has performed for Alexandra Pirici, Tino Sehgal, Sergui Matis, Laurie Young, Sebastian Mathias, Christoph Winkler, Ligia Lewis, Jeremy Wade, Kareth Schaffer, Chunky Move and Not Yet Its Difficult among others. In 2012 Hansen was named ‘Dancer of the year’ by Tanz Magazine and was a Danceweb scholar in 2013. Julia B. Laperrière is a Berlin-based choreographer and performer from Montreal. 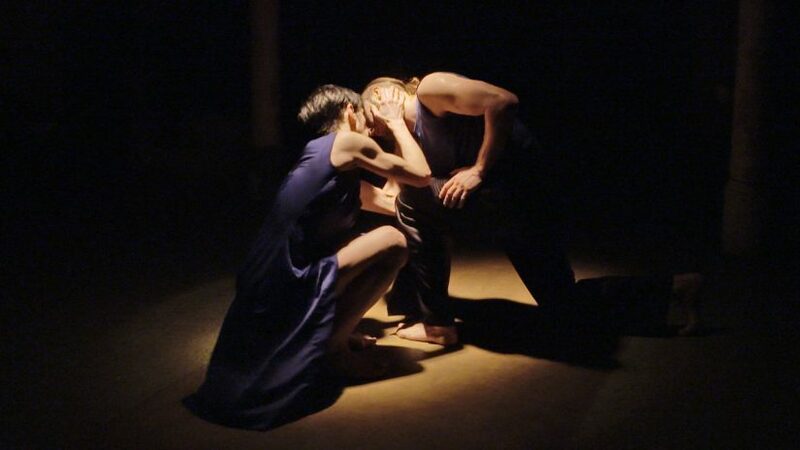 Since her graduation from the University of Quebec in Montreal (UQAM) she has presented her work in Canada (Tangente, Quartiers Danses, Zone Homa, OFFTA) and internationally. 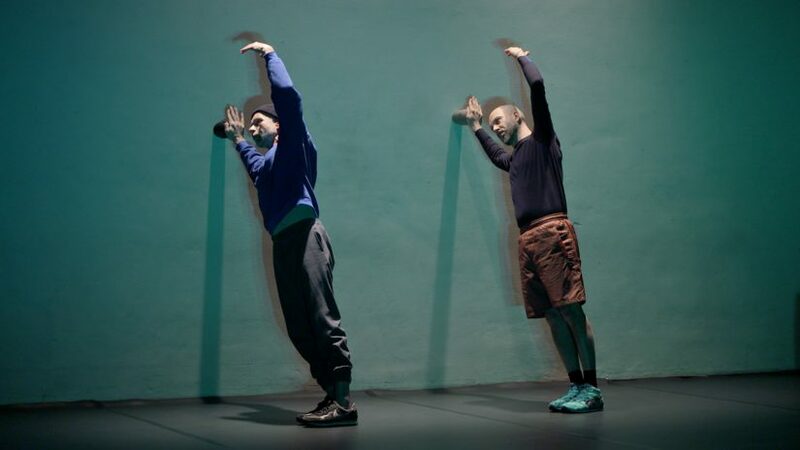 Laperrière also collaborates with artists such as Diego Agullo, Alfredo Zinola, Josep Caballero and Michael Müller, enthusiastically blurring boundaries between dance, theatre, performance and visual arts. As a performer, she is interested in generosity, energy and presence. Gareth Okan was born in Auckland New Zealand. In 2012 he graduated from the New Zealand School of Dance as a contemporary major. Since then he has worked for the New Zealand Dance Company, SALTED:SINGLET, Fake Company as well as his own productions. He enjoys ceramics, furniture and tea. Dana Pajarillaga is a native of Washington, D.C. She was first introduced to the world of dance through urban dance. After training at CityDance Conservatory in Bethesda under Lorraine Spiegler, she moved to New York to study at the Juilliard School, performing in works by José Lìmon, Merce Cunningham, and Nacho Duato. At the same time, she gained further experience by taking workshops at The School at Jacob’s Pillow, the Cunningham Repertory Workshops, and at Springboard Danse Montréal, where she worked with Victor Quijada, Andre Pena, Annabelle Lopez Ochoa, Emily Molnar, and Brian Brooks. Dana joined RUBBERBANDance Group in 2017. Lisa Rykena was born in 1989 in Jever and currently lives in Hamburg. Rykena studied classical and contemporary dance at the University of music and performing arts Frankfurt/Main. 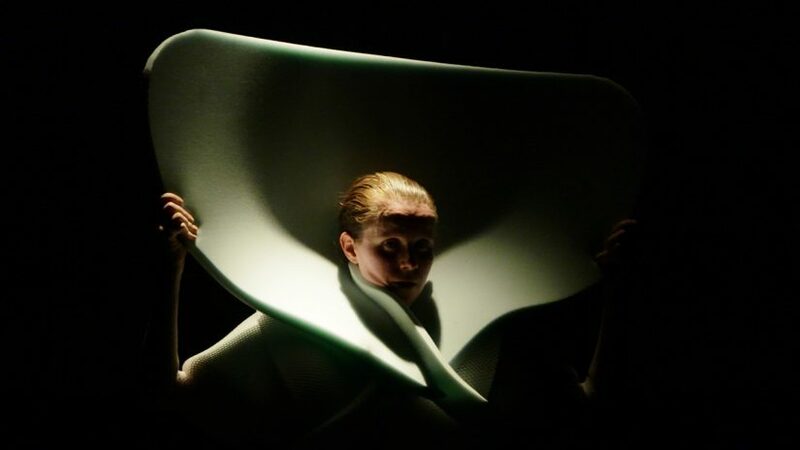 She is working as a freelance dancer, performer and singer and performed in pieces of William Forsythe, Marina Abramovic and Allora & Calzadilla. The main focus of her own artistic work is the transformation to hybrid identities, the interaction between voice and body and the strategies and manipulations of the singer’s body (genre pop and opera). Rykena is a member of numerous art collectives in Hamburg and co -founder of Intervisions (interdisciplinary series of performances 2017-2020) in Hamburg. 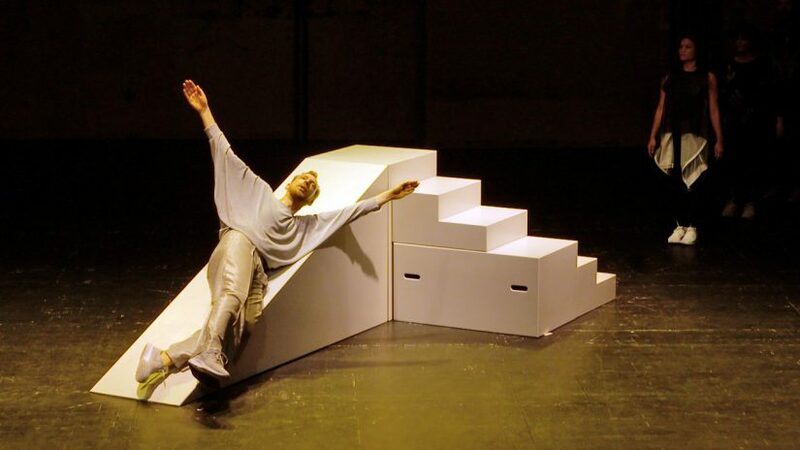 Born in Italy in 1993, Riccardo de Simone has started his dance education at Selene Centro Studi in Bologna. He then graduated at SEAD (Salzburg Experimental Academy of Dance) in 2017. De Simone has worked as a dancer for Virgilio Sieni, Kombinat, Elio Gervasi, Noritoshi Hirawaka, Christoph Winkler among others. Since 2016, his first animation short film “1180 AND MORE” has been screened in more then 35 festivals around the world, winning in 2017 a special prize at “Danza in un minuto” film festival in Turin. The Japanese duo group A was formed in 2012 by Tommi Tokyo (synthesizer, vocals, percussion) and Sayaka Botanic (violin, synthesizer, cassette tapes). Their shows deliver a mixture of synth heavy minimal wave, avant noise, visuals and performance art. Their work carries the sounds of industrial pioneers such as Throbbing Gristle or Cabaret Voltaire forward, into an evolving sound that is the duo’s own. Their self-produced first album “A” was released in 2012. It was soon followed by “INITIATION” in 2013, and then by “[ 70+A= ]” in 2015. They have headlined events such as the Urban Nomad Film Festival in Taiwan, and the Art Book Fair in Tokyo. In 2017, they contributed to THE BRVTALIST’s mix series ahead of their performance at Berlin’s Krake Festival. Rashad Becker is a known mastering and cutting engineer at Berlin’s Dubplates and Mastering, as well as at his own Studio Clunk. As a producer, he has released “Traditional Music of a Notional Species” Vol. 1 and 2 on PAN, in 2013 and 2016 respectively. Becker’s Traditional Music is an anthropology of an imagined cultural body, informed by innumerable tropes of sound that are free from a singular aesthetic idea. Individual tracks are protean and exploratory. They encompass material from field samples to modular synthesis, and elude easy identification. In Traditional Music, the producer explores the dynamics of an abstract, hypothetical ecosystem, cycling through abbreviated seasons of generation and decay. In 2017, Becker appeared at festivals such as Terraforma and Atonal, the latter of which saw him perform 8-channel work with Tokyo’s Ena. His critically lauded music presents a clever and nuanced relationship to sound and entails a high degree of technical mastery. Pan Daijing was born and raised in Guiyang, Southwest China, and has been based in Berlin since 2016. Rooted in noise music, her raw approach as a composer and performer takes many forms; primarily performance art, sound, dance and installation, hinging heavily on improvisation and acts of storytelling. The output is poetic and uncanny, often oscillating along paradoxical conceptual states. She has released an acclaimed album debut, Lack, on PAN, and her on-going projects comprise of “Fist Piece”, a complex choreography of film, sound and performance premiered in Kraftwerk at Berlin Atonal, “In Service Of A Song”, a performative installation shown at Haus der Kulturen der Welt and exhibited at Galleria Isabella Bortolozzi, and “The Speaker”, a collaborative aural theatre piece premiered at St. Elisabeth’s Church in Berlin. She has showcased her work and performed in Palais de Tokyo, Rockbound Shanghai, Volksbühne am Rosa-Luxemburg-Platz, Berghain, as well as festivals such as CTM, Sonar, Unsound and the London Contemporary Music Festival. The Complete Expressionist – A Tanzfonds Erbe Project is a Christoph Winkler and ctm project in collaboration with ehrliche arbeit – freelance office for culture. Funded by TANZFONDS ERBE – A Federal Cultural Foundation Initiative as well as by the Berlin Senate Department for Culture and Europe/ Co-Finance Fund. CTM 2018 is a project by DISK – Initiative Bild & Ton e.V. and DISK / CTM GbR in cooperation with transmediale, Kulturprojekte Berlin, HAU Hebbel am Ufer, and many other partners. CTM 2018 — Turmoil is funded by the Senate Department for Culture and Europe, German Federal Cultural Foundation, Capital Cultural Fund, Creative Europe Programme of the European Union, TANZFONDS ERBE – an initiative by the German Federal Cultural Foundation, Initiative Musik, Goethe Institut, Federal Foreign Office.